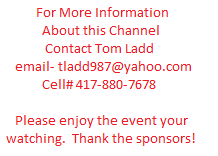 This weeks games from the MBCA Hall of Fame Classic at Parkview will air live on this channel. The games will be archived the same night. Thanks for watching and please thank our sponsors.